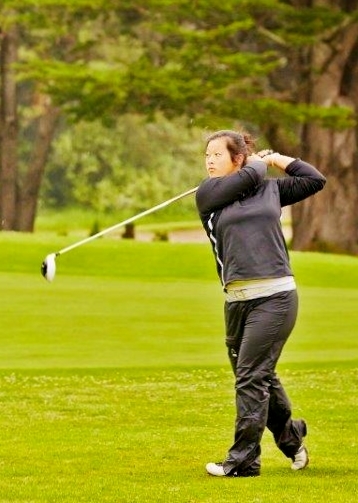 Samantha Gong is co-medalist at the Northern California High School Girls golf championship. The St. Ignatius Senior -- a long-time student of San Francisco teaching pro Dede Moriarty -- posted an even-par 72 in the rain Monday, November 9 at the NorCal CIF Tournament at Crazy Horse GC, Salinas (the former Salinas Country Club), to earn co-medalist honors with Pioneer High's (San Jose) Sabrina Iqbal. Next stop for Samantha is the State High School Championships, Tuesday, November 17 at Poppy Hills in Pebble Beach. Following graduation from St. Ignatius in Spring, 2016, Samantha will head across town to University of San Francisco on a golf scholarship. Congratulations Samantha and good luck at State!